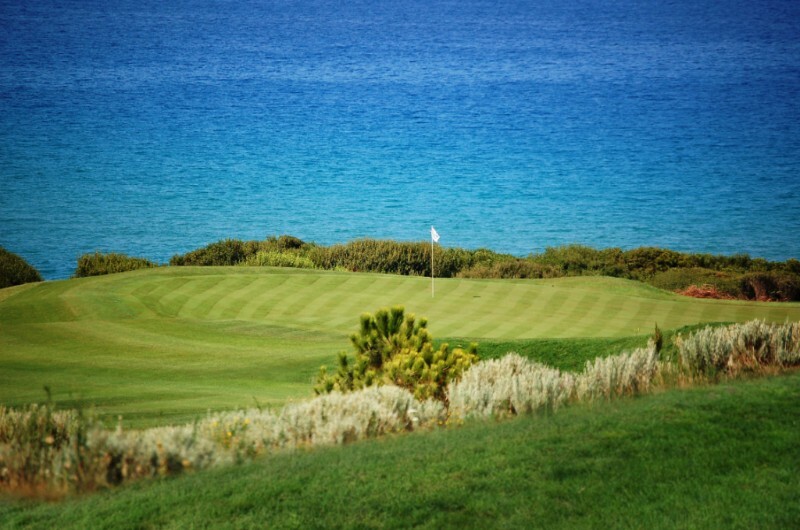 Costa Navarino - simply the best golf destination around! 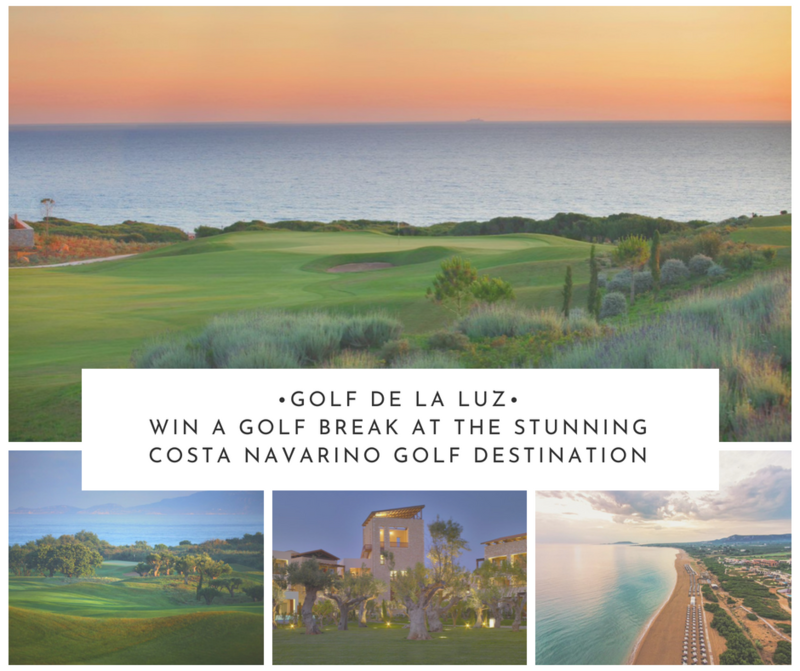 Costa Navarino is located in the far southwestern corner of Greece's mainland and is quite simply the finest golf destination the Golf de la Luz team have had the good fortune to visit in the last 15 years. 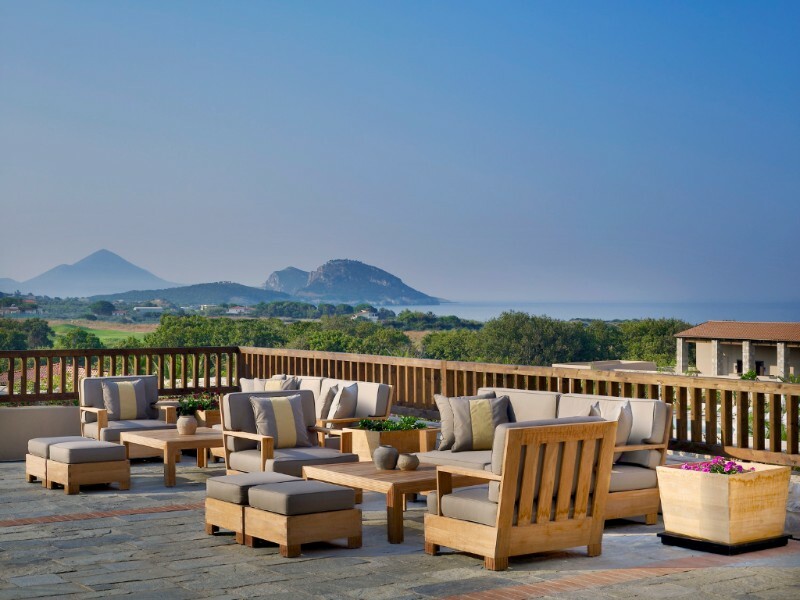 The lifetime pet project of a Greek shipping magnate - known affectionately as "The Captain" - the resort has been sympathetically incorporated into the ancient landscape and this, alongside the resort now being the area's largest employer, has endeared Costa Navarino to both locals and visitors alike. The Westin Resort is the main 5 star hotel at Navarino Dunes, and offers wonderful accommodation including swim-up and beach front rooms. Located adjacent to the golf clubhouse the Westin Resort offers a full range of high-end hotel facilities, plus access to the Agora - the village square of bars, restaurants and shops - which are available to residents of both hotels. 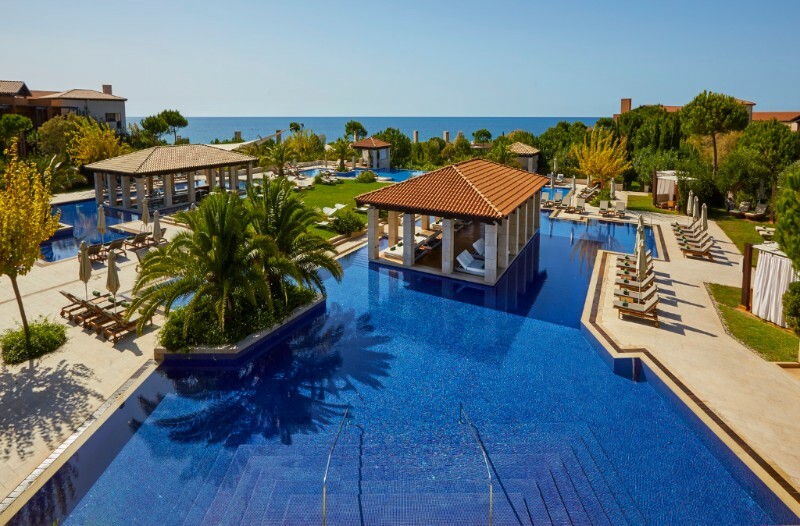 The Romanos, a Luxury Collection Resort at Costa Navarino offers sweeping sea views from most rooms with the ocean and sea breezes being a common theme of the decoration and style of this high-end and truly luxurious golf resort hotel. With the wonderful Anazoe Spa continuing the water-related theme of the hotel, non-golfers or golfers in need of respite from the sun and golf course will find true relaxation in this cocoon of tranquillity. 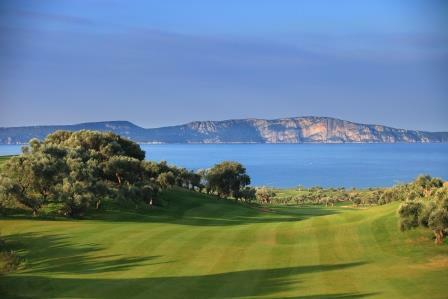 Both Costa Navarino golf courses - The Dunes Course (above left) and The Bay Course (above right) - are managed by Troon Golf who have a great pedigree of taking excellent care of golf courses and discerning guests worldwide. 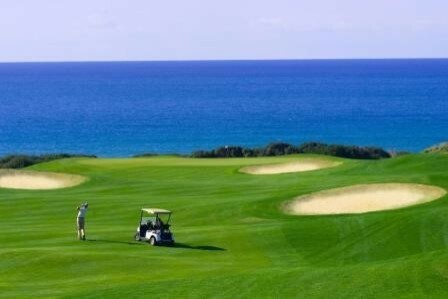 With both courses benefiting from the same professional greenkeeping team and high levels of maintenance, enjoyment of your golf here at Costa Navarino is almost guaranteed! The Dunes Course is on-site adjacent to the 2 main resort hotels and offers a full service clubhouse, with the buggy-inclusive Bay Course only a few minutes drive away by courtesy shuttle. A brand new clubhouse is currently under construction at the Bay Course and when open will feature unrivalled sea views over the golf course.